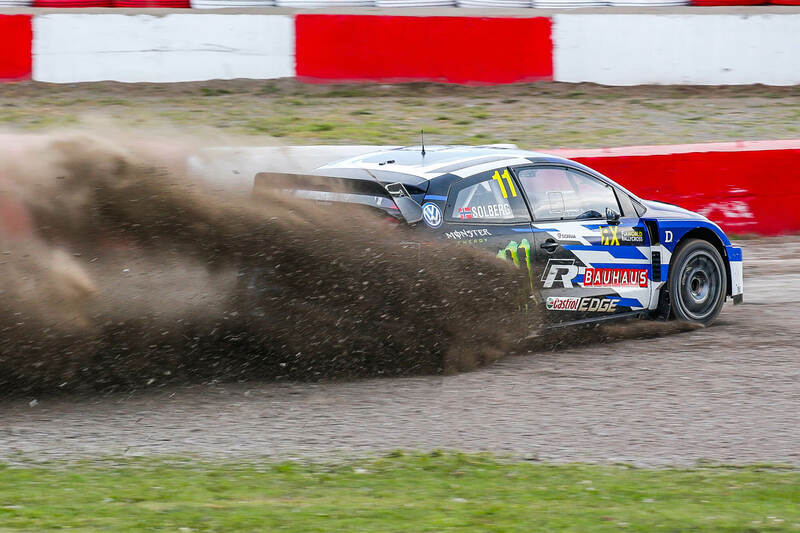 Last weekend, 5-6 August, the seventh round of the FIA World Rallycross Championship took place. The struggles took place at the Canadian Grand Prix de Trois-Rivieres 2018. The stars of World RX presented themselves to the public on Friday, during a welcome parade. Mattias Ekström and Petter Solberg achieved the best times during the training. The five best times from the first training were better than the best time from the second workout. However, as you know – each lap is a completely different story written on the same track. You need to respond to the behavior of rivals, adjust the driving style to the conditions on the track. Sébastien Loeb won his first qualification (Q1) at Circuit Trois-Rivieres 1. The winner of the third race overtook Mattias Ekström and Petter Solberg, who won the first and second clash. Ekström defeated Niclas Grönholm by 2.066 seconds. Only Jérôme Grosset-Janin (+77,739) reached the finishing line. Peugeot Grégoire Demoustiera was on the last corner during the first lap. Mégane Guerlaina Chicherita did not pass the final wheel. Petter Solberg won the start with Johan Kristoffersson, followed by the collision of the leader of the championship with Andreas Bakkerud. After Joker Lap, Kristoffersson found himself behind Kevin Eriksson. Timmy Hansen started the race 3 best, but he made a mistake, he went round the corner and fell behind Loeb and brother Kevin. The order remained until the finish line. The second qualification (Q2) did not differ much from the first. Sebastien Loeb completed the perfect start, again achieving the best result. Current Champion Kristoffersson struggled with problems on Saturday. After two qualifications, he was only 9th! In the first race of Q2, Robin Larsson was 0.726 s faster than Guerlain Chicherit. Johan Kristoffersson and Jānis Baumanis attacked Joker Lap after starting the second race. Led by Andreas Bakkerud, who after Joker Lap found himself in front of Kristoffersson. Timmy Hansen also overtook the world champion after completing the longer loop. Petter Solberg and Niclas Grönholm were the first to go to Joker Lap in the third race. Loeb, Ekström and Kevin Hansen followed in their footsteps on the third circle. Loeb won his race -Ekström was 2nd and Solberg was 3rd. 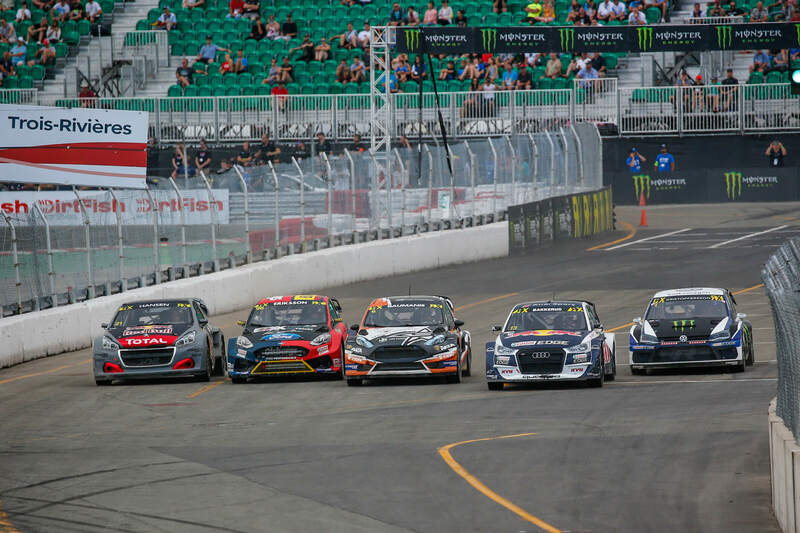 Johan Kristoffersson overtook Andres Bakkerund, Kevin and Timmy Hansen in third qualifiers (Q3) at Circuit Trois-Rivieres 2018. Saturday’s dominator, Sébastien Loeb remained at the head of the overall classification, though he only scored 32 points. During the last lap of the race in Q3, the driver was directed to the barrier by Mattias Ekström. Already again this season, the driver of the Audi S1 attacks another driver… We hope that this “deadly” driving style will not hurt anyone! Robin Larsson went to Joker Lap on the last ring – and he passed the finish line of the first race against Jérôme Grosset-Janin. Guerlain Chicherit was eliminated on the second lap. Kristoffersson and Eriksson have started race 2 from passing through Joker Lap. Leader Kevin Hansen waited with this for the last lap. He finished the race almost a second later than Kristoffersson. In the last race, Andreas Bakkerud defeated Timmy Hansen and Petter Solberg. 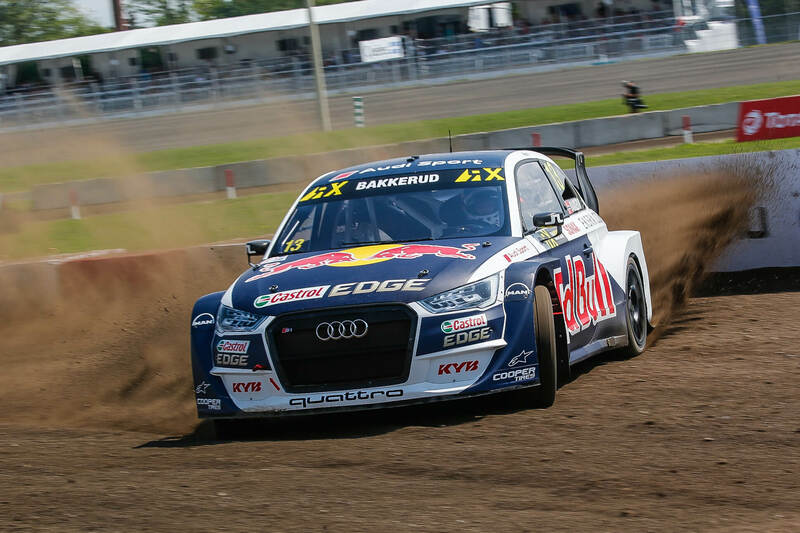 Johan Kristoffersson also won the fourth qualification at Trois-Rivières and overtook Sébastien Loeb for a point. The next places in the overall classification were taken by Petter Solberg, Timmy Hansen – the second in the last session, Mattias Ekström and Andreas Bakkerud. In the first race, Ekström defeated Loeb by 1.658 seconds. Timur Timerzyanov was promoted to the semi-finals. Guerlain Chicherit hit the wall and damaged the suspension. Niclas Grönholm, seventh in the qualifying round, won the second race against Kevin Eriksson. In the last race, Johan Kristoffersson confidently defeated Timmy Hansen and Petter Solberg. Andreag Bakkerud was only the fourth. Johan Kristoffersson and Timmy Hansen won the semi-finals in Trois-Rivieres 2018. Mattias Ekström and Petter Solberg also advanced from the first race. Jānis Baumanis and Sébastien Loeb were promoted from the second race. Kristoffersson and Solberg made contact after the start, which Ekström used to move to second place. Andreas Bakkerud stuck in between Loeba and Timmy Hansen, winning the start in the second semi-final. The Norwegian, however, damaged the left rear Audi suspension. Kevin Hansen and Robert Larsson collided with the Joker Lap. On the third lap, Sébastien Loeb overtook the lame Audi Bakkerud. 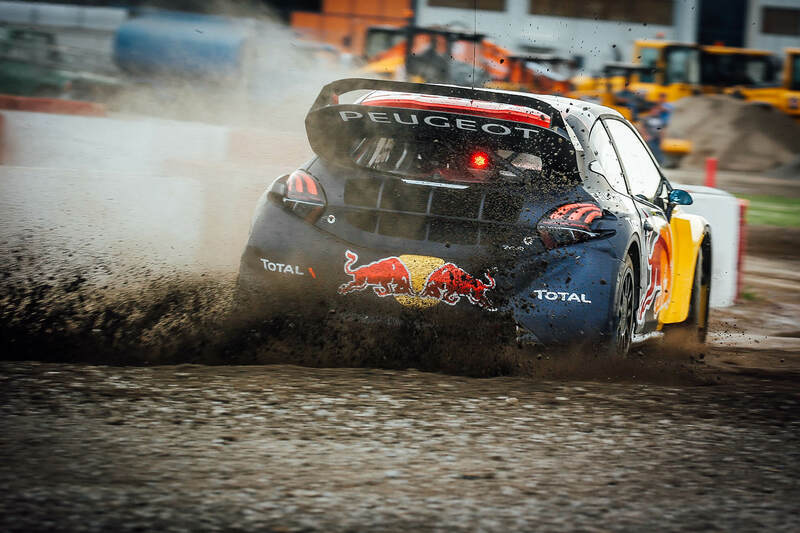 After Joker Lap – Timmy Hansen left before Loeb. 6. Robin Larsson (S) Ford Fiesta -5 r.
It’s time for World RX of Canada FINAL! Kristoffersson took the lead after the start, with Timmy Hansen, Ekström, Solberg, Baumanis and Loeb behind him. Jānis Baumanis received the Monster Energy Supercharge Award for the shortest response time. Timmy Hansen hooked the tires twice – and finished the first lap with a loss of 1.2 seconds to Kristoffersson. Despite the weaker performances on the 1st day, Kristoffersson started the final from the pole position. The rest of the race was pure formality. Champion reached for victory. Everyone thought he would drive Joker Lap on the last lap to take advantage. Kristoffersson decided to ride Joker Lap during the second to last lap, to play zigzag at the last straight – from one band to the other. He crossed the finish line in this style! Trois-Rivieres 2018 belong to him! Yesterday I was in trouble, I was falling into a cork, and this morning I could not find a rhythm – said Johan Kristoffersson. – Big thanks to Petter, who showed me the way, for the whole team. The next victory is absolutely amazing. Now I like this track again and I will be waiting impatiently for my return next year.